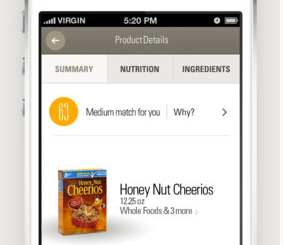 BarCalc: an app for counting the weight loaded on your bar. It helps you with Wendler 5/3/1, Starting Strength, CrossFit, and other programs. 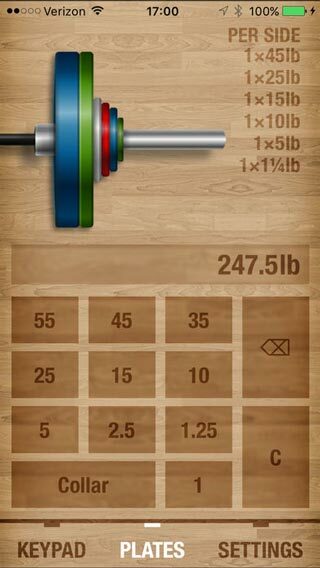 Simply input any weight to see the plates on the bar. RackMath Barbell Calculator: helps you calculate which weight plates you need for your barbell. It lets you choose the plates available to you. It supports non-standard weight plates. 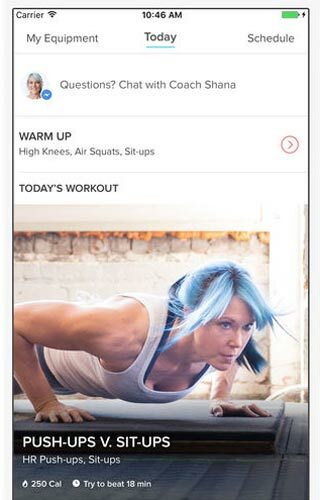 Starting Strength: the official app for Starting Strength, which involves using barbell workouts to become stronger. 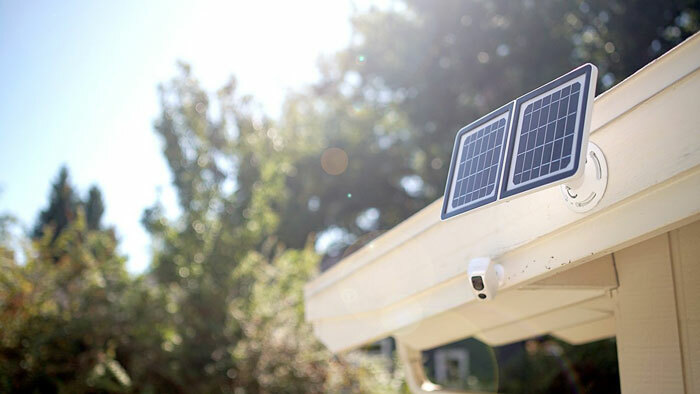 It comes with interactive logging tools, rest timer, and instructions. Virtual Trainer Barbell: comes with over 50 exercises you can try to push your body. It helps you find exercises that target specific muscle groups. 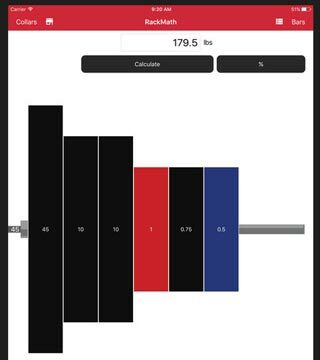 Barbell Builder: another app that makes it easier to figure out what plates to put on the bar to make your target weights. 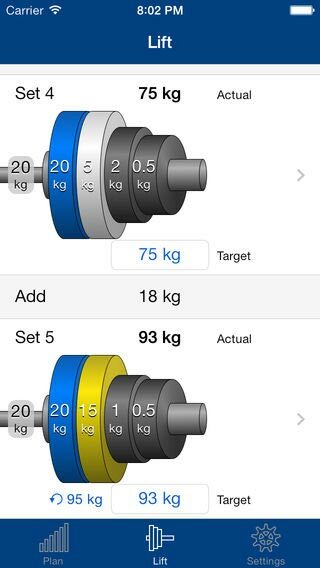 It calculates weight progressions and suggests options for loading the bar with fewer plates. 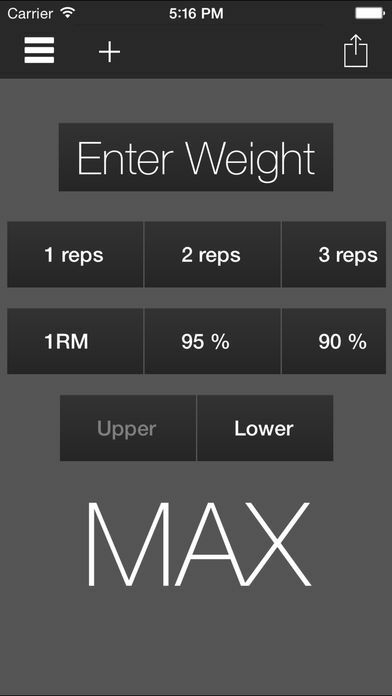 1RepMax: lets you enter the amount of weight you have lifted and the number of reps to calculate your 1 rep max. 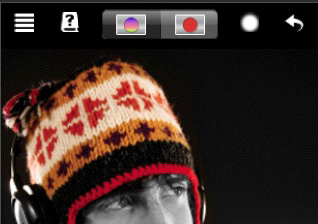 You can use this with other apps to create custom workouts. Keelo: comes with HD instructional videos and gives you a full body workout. It has exercises for those of you who have barbells, dumbbells, and other simple tools around. 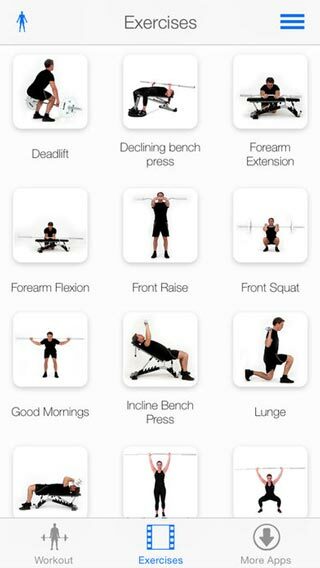 Have you found more useful barbell workout apps? Please share them here.